and all seem to have a similar meaning— our connection to all things. Basically, it can be broken down into three different purposes. It provides the breath of life which is also symbolized by the element of air intended to inspire us. Its roots go deep into Mother Earth where it receives its nourishment. And then finally, this nourishment feeds the leaves and makes the fruit to nourish and allow us to continue on with life. The four elements of fire, water, air and earth, combine to create the life giving power of a tree. Fire, the power of the sun, provides the heat and light for the tree to grow and flourish. The element of earth provides nutrients through the trees roots that combines with the power of the sun's light to keep the tree growing. The element of water is vital to all life. It enables the tree grow and then produce the fruit that feeds and nourishes us, allowing our life to continue. In combining all the elements of our existance, the circle of life continues. There is no beginnning and no end, it is all bound together eternally in nature. And so, life goes on completing the never ending cycle. 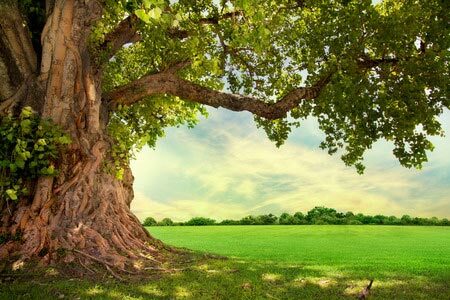 Ancient Celts called the Tree of Life Crann Bethadt. To honor it when clearing their fields to plant crops, they always left one tree standing. This tree became the place where they assembled to appoint new leaders or to have any important gatherings. While to cut one down was considered a crime, it was also considered a way to hurt an enemy clan when trying to conquer them. The Celts believed the Crann Bethadt represented the balance and harmony in nature. It was a symbol of long life, represented the cycle of birth, growth, death, and of again being reborn. And, it was a connection of two worlds. 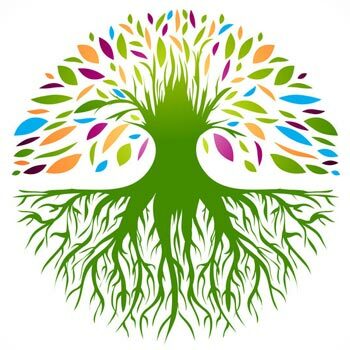 The roots reached deep into the lower worlds while its branches grow to reach the upper worlds where the gods reside, and in this way make the connection to the earthly plane. They also believed that they, themselves, came from the trees and regarded these trees as magickal beings. The Crann Bethadt guarded the doorways to the spiritual realms. What Are Full Moon Names?